Apparently there are a lot of unknown facts surrounding the whole TNC debate. Many people think that Chicago taxis and Chicago limo companies are against Uber and Lyft and other “ride sharing” companies because we fear the competition. That is a false theory. We are fine with the competition, as long as it is fair. There is a very uneven playing field between TNCs and traditional public transportation companies and that is what needs to change. This entire debate and legal battle can easily be resolved by just making everyone play by the same rules. I will not speak for the taxi industry, since I am not knowledgeable in that area. I will, instead, speak for Chicago limo service companies. The following is what we are required to do in order to provide public transportation. Quick side note, “ride sharing” is not really ride sharing. Ride sharing is meant to be NOT for profit. Uber, Lyft, and others are charging for the rides, and therefore this is public transportation. So, all of the rules should apply equally. All vehicles must pay $3.50 per day (per vehicle) for Ground Transportation Tax to the city. We are NOT allowed to pass this cost on to our client. All chauffeurs must have a Chauffeur’s Public License (hard card). This involves a 2 day course, followed by a difficult test, a drug test, physical exam, background check (which includes fingerprinting), all city debts paid, and past due child support brought current. This license renews annually, without the repeat of the course and written test. Only city plated cars driven by licensed chauffeurs are allowed to pick up at the airport and drive into the city (and vice versa). This means if a Chicago limo company has state livery plates on a vehicle, that car is not allowed to go into the city, regardless if the chauffeur has a license or not. Only city plated cars driven by licensed chauffeurs are allowed to go city to city (same rule as above). All limo rides must be prearranged. It is against regulations for us to be summoned on the street. All rates must be flat. We are not allowed to meter our rides (time and distance, etc). All vehicles must have commercial auto insurance, for which a small business (such as 10 vehicles on the fleet), can expect to pay around $50,000 a year. Basically, they don’t have any rules to follow. They can pick up and drop off whenever they want, charge whatever they want, drive whatever they want, live wherever they want, and all without any commercial insurance to boot. If we did that, we would get ticketed and towed, which would cost approximately $2,000 and a risk of losing the right to do business in the city again. It’s very frustrating for those of us who pay all of the fees and play by all of the rules. 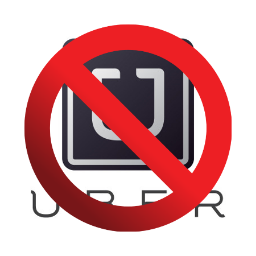 Now, if the rules are antiquated for TNCs, then they should be antiquated for Chicago limo companies and taxis. Some of these rules that we are forced to follow are just money makers for the city, but others are important for consumer safety. So, for Mayor Rahm Emmanuel and some of the aldermen fighting for the TNCs, to be so glib about antiquated safety measures, maybe they should take a step back and wonder WHY Uber is fighting so hard against fingerprinting. What exactly is it they are hiding? Of all the ordinances Alderman Beale tried to implement, fingerprinting became the showstopper. Doesn’t that make you wonder who is driving for these TNCs that even the TNCs don’t want it revealed? Sorry, Rahm, I know Uber is your brother’s investment, but the people of Chicago are supposed to be your investment. You should be concerned with safety of our citizens first and foremost, and the well being of small Chicago businesses also. And if you truly believe all of the regulations are nonsense, then I expect you to do away with all of them for all of us providing public transportation. In the meantime, we are glad to continue to offer our clients legal and licensed Chicago limo service. Thank you for your continued loyalty Going Green.